Tools and the tips that can help you in improving your Facebook page and its news feed performance. How can you boost your social media marketing through Facebook management? Facebook page management is a tricky, yet interesting task that requires fantastic content creating and sharing skill which further results in the huge fan following that can be easily influenced in the favor of your business.It is good to have a reliable set of support tools that assist you in developing some great content and sharing with your fans. Here in this article, we are going to discuss the tools and the tips that can help you in improving your Facebook page and its news feed performance. While you are involved in a cross-platform marketing campaign, tagboard is the great help in finding the right influencers, otherwise, you can spend a long time searching each network for required information. It also allows watching the other marketers on Facebook using the same hashtag in their campaign. Use Facebook page tabs in customization and functionality enhancement of your page. The scope of customization is wide enough and many applications such as product giveaways, email signups, webinar registration and much more are part of it. These tabs also facilitate sharing content to other social media site also. For example, you can tweet your Facebook post, display your Pinterest boards and viral your YouTube videos also. Now, here is a problem, these Facebook Apps are not friendly with mobile devices and SmartPhones, so this is a big issue and a shortcoming also. But there is also a way; ShortStake is the best tool and help that allow you to use the Facebook tabs even in mobiles. Who is posting: Whether it is a fan, follower, admin or anyone else? How many times you want such notification alert. Though Facebook also provides a nice message service and activity logs, that is not always that reliable and you miss the things more often. In this case, you are advised to go to http://www.hyperalerts.no/ that offers a free tool for creating a customized hyperalert facility that suits your convenience and you have no fear of missing something. Think seriously about creating an engaging image as it plays a big role in your success of your mission on any social platform. Use your Photoshop skills, hire an expert graphic designer or follow much simpler way download Canvas and design some very easy and effective images in a few minutes. Carnivals provide you countless options to create a template to be matched to your needs. Use it for images, logo, uploading items and much more visually attractive ideas. Content curation is very important in social media campaigning and you must have a good tool to help you with this. This is because you can’t search each and every platform or sit in the urge to find some information or idea. Also, you have much more to do other than content creation. Searching for a right content curation tool such as Savvy, that can analytically study the material you shared and its origin to recommend you the content according to your most applied keywords. Now a tip: combine Swayy and Tagboard and get the maximum reach and engagement of your content. Apply all these or some of them the tool to your Facebook options according to your requirement and convenience and you will find that you can easily manage your Facebook page with remarkable efficiency. 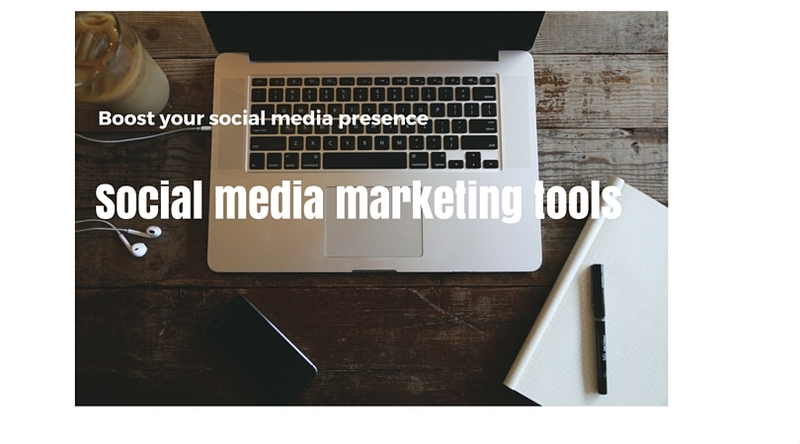 With them, you can focus on other aspects of your marketing strategy while these tools are working themselves. Finding relevant content, creating some interesting regularly, sharing them to quality audiences and maintaining their engagement was never such easy. Perhaps you have enough idea about improving your Social media presence through Facebook page management, this is time to take a look at what steps you can take or what are the tips or tools that can help you in improving your Facebook news feed performance. You often get frustrated by the consistent changes in news feed algorithms. Also, sometimes you are forced to buy the ads when you want to reach to your audiences. While the world changes with each new day and Facebook is not an exemption; performance read and follow the given tips that can guide you to improve your Facebook news feed performance. Launch the caption contest in a regular interval because it has been proven in some recent researches that it helps in creating the flood of viral reach. While you receive the comments, it is very obligatory for you to comment on them. People say on Facebook because they want to be answered. You can buy the reach with various Facebook options. Though this is the most repeated term in the online marketing strategy management, it is the key element. Your readers don’t see your Facebook page and share the content because of you, but because the content is interesting and useful. So give your major attention on content creation. It will be very helpful if you can figure out the most suitable time to post your information on your Facebook page so that you can interact with them when they are online. Regularity is a must. You should post on Facebook page at least once in a day so that the fans may find you active. How can Facebook be used for Marketing? Use the above tips and methods to improve your Facebook marketing plans and reach more and more people and make the reliable sound relationships, By using these tools effectively, you can manage your Facebook news feed performance and get best results for your facebook page. If you have any suggestions or query related to this article then feel free to share with us in a comment section.